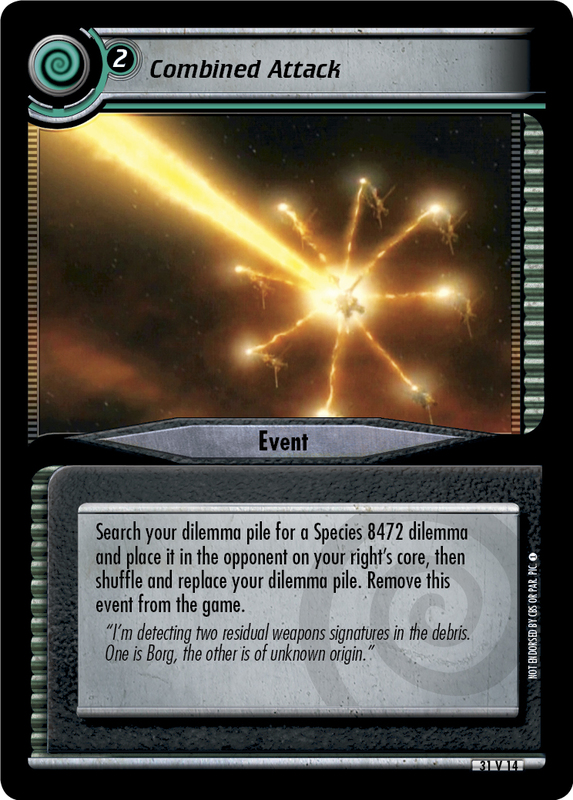 Search your dilemma pile for a Species 8472 dilemma and place it in the opponent on your right's core, then shuffle and replace your dilemma pile. Remove this event from the game. 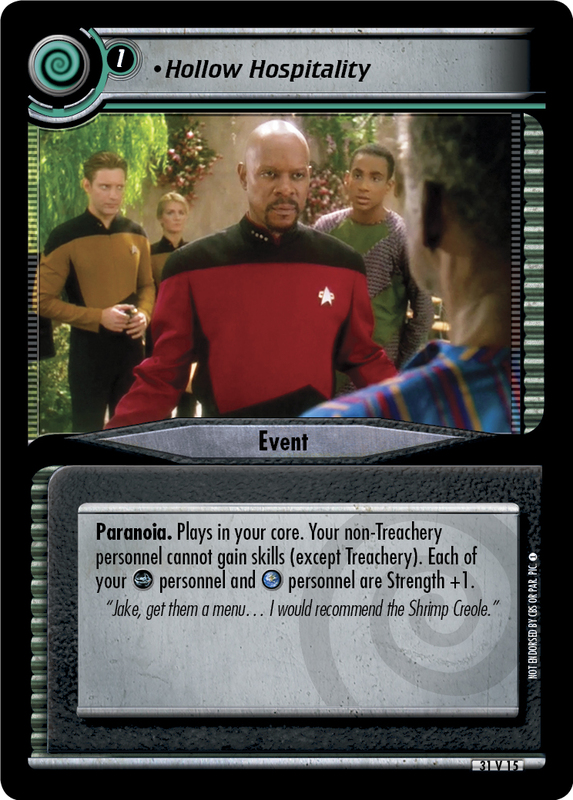 "I'm detecting two residual weapons signatures in the debris. 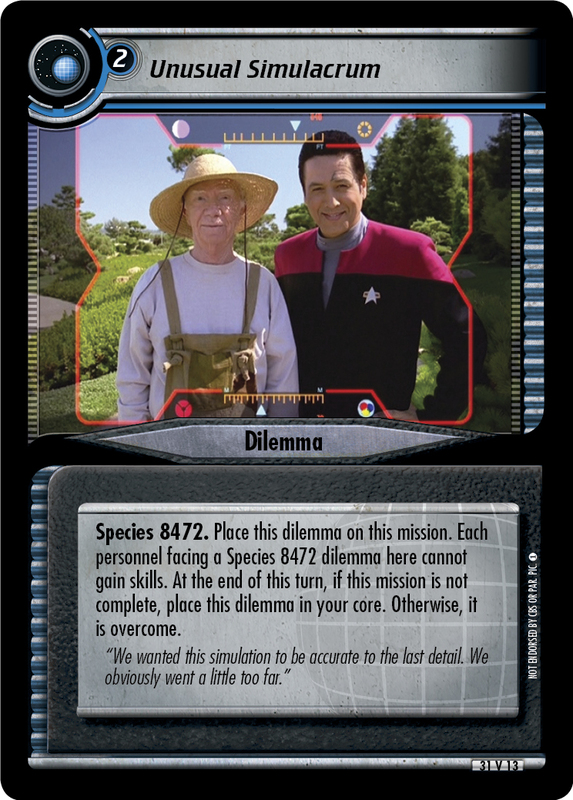 One is Borg, the other is of unknown origin."